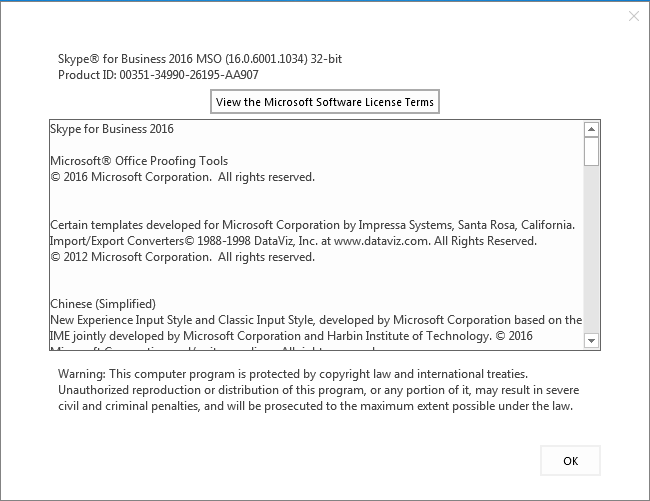 This week’s security update also covers the Office 2016 client for SfB. To learn more about the vulnerabilities, see Microsoft Security Bulletin MS15-116 and Microsoft Security Bulletin MS15-123. 1st December 2015: Corrected the links under ‘Download’. (Thanks Richard). 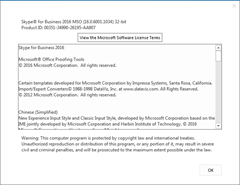 For me, both the https://www.microsoft.com/en-us/download/details.aspx?id=49757 and https://www.microsoft.com/en-us/download/details.aspx?id=49751 leads to Security Update for Skype for Business 2015 (KB3101496) 32bit/64bit, and not to Sfb2016 KB3085634. Correct URLs should be: http://www.microsoft.com/en-us/download/details.aspx?id=49721 and http://www.microsoft.com/en-us/download/details.aspx?id=49154. Thanks Richard. They’re correct now.